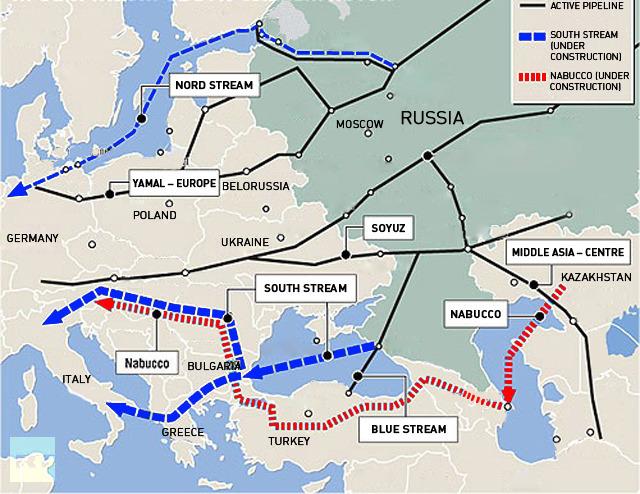 South Stream has turned into “Turk Stream.” Moscow has decided not to sidestep Ukraine and supply gas to the whining American satellites from Southern Europe, but will instead turn its attentions to its project in Turkey. It’s no terrible fate to get the chance to provide fuel to a rapidly growing economy with a GDP of $1.2 trillion instead of to countries like Bulgaria, Italy, Greece, and Slovenia that are languishing in an economic depression. On the heels of the joint Russian-Chinese Power of Siberia pipeline project, the deal with Turkey has become yet another demonstration of Russia’s willingness to reorient its trade potential to encompass new partners. The EU has insulted Ankara by feeding her with nothing but promises for many decades. This strong and self-sufficient country has been a candidate to join the EU since 2000, but has no real hope of ever being granted membership. Despite many cultural differences, Turkey is a far more valuable asset than all of the Baltic countries, Ukraine, and the former Yugoslavia put together. The Turks are not a millstone around anyone’s neck – they are able to maintain a battle-ready army and can solve their own problems in the Middle East without dragging in the West. And let no one forget that they have become a bargaining chip in the Caribbean crisis. But Ankara has no illusions about the current government of the US or the EU. Given this status quo, Turkey allows herself to ignore the sectoral sanctions against Russia and is signing major deals of unprecedented size with Vladimir Putin. 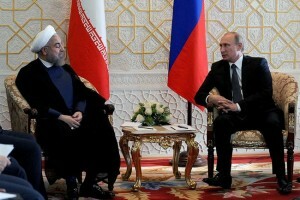 Recently, Iranian President Hassan Rouhani held a similar meeting with the Russian leader. This Persian “trump card” will be useful to Russia in the event of a sharper confrontation with the West. Tehran could prove to be a more willing partner, prepared to pay for a whole spectrum of military and civilian products under arrangements that are advantageous to Moscow. Iran has an economy with potential GDP around $1 trillion, but is being suffocated by sectoral economic sanctions and cannot fully develop without access to modern technology. The most modest list of the barest necessities Iran would need in order to feel secure in the hostile environment of the Middle East would include 100 Su-30 fighter jets needed by the local air-defense forces, six divisions of S-400 missiles, and over 500 T-90S tanks. In total, that would cost at least $15 billion. And the two countries could calculate their payments in either rials or rubles, which would help to weaken the hegemony of dollars and euros on foreign markets. Tehran longs to build modern oil refineries and plants to produce liquefied natural gas, in addition to getting some new nuclear power plants up and running, which it is already accomplishing to a certain extent with the Kremlin’s help, but Iran would like to be doing much more. All of this would cost a huge amount of money, and Moscow could provide everything, but Russia continues to stand behind its “gentleman’s agreement” to keep Iran isolated. Thus, as she has in the past, Russia is voluntarily declining to take advantage of what would be a financially lucrative situation. 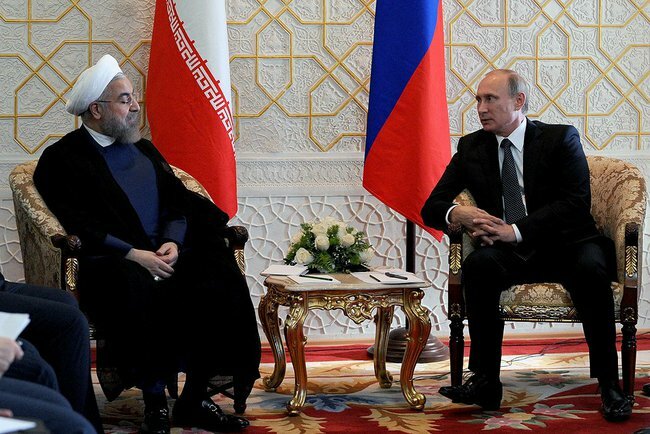 This is despite the fact that recent bilateral meetings indicate that Rouhani is much more in favor of close contacts with the Kremlin than in normalizing relations with the West. The Azerbaijani political commentator Tofiq Abbasov believes that Moscow is now the dominant figure in the negotiations on Iran’s nuclear program and that Russia is using this status to derive the maximum benefits for herself. And the Russian position will become even more monolithic if Syria and Iraq are able, in their current configuration, to withstand the onslaught of 200,000 ISIS troops. The government in Damascus, as represented by Bashar al-Assad, is clinging to the Kremlin as its last hope. Other than Moscow, no one is prepared to offer loans to that devastated country. Baghdad is also really pondering whether to henceforth even engage with the West, after receiving ground-attack aircraft from the strategic reserves of the Russian Defense Ministry when it was unable to continue waiting on a shipment of American F-16s. Nor is Syria necessarily averse to turning its attention toward the north and Egypt as it did 50 years ago. General al-Sisi has upset Washington’s applecart by toppling the weak government cobbled together by the Muslim Brotherhood. Who knows if he will express a desire to seek out international protection from Putin? In this manner a well-defined configuration is emerging of a Middle East coalition in which Russia is enlisting the help of “third-world” countries that are free of any strongly pro-Western bias. Obviously there is no reason to see the fate of South Stream as any sort of “diplomatic defeat” for Russia. Pingback: South Stream means more than politics as usual. | A European Diary.